The Rebel Sweetheart. : Seoul Searching | The War Memorial of Korea. 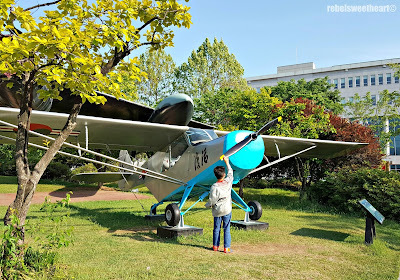 I was actually saving this blog post for later, as I had planned on finishing my product review backlog before doing another Seoul Searching/travel post. 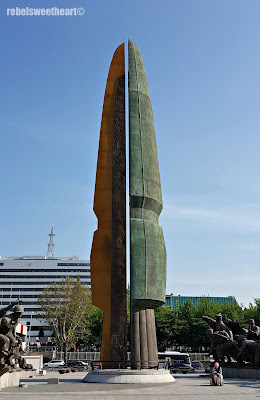 But since today (June 25) marks a very important day in Korean history, I thought it would be timely to talk about the War Memorial of Korea. 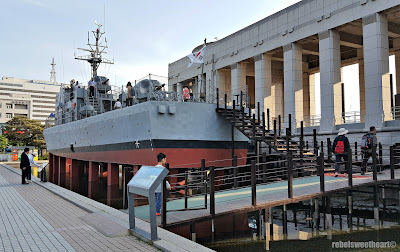 Yue and I visited here last month, and out of all the landmarks/tourist spots that I had been to in Korea, this place tugged at my heartstrings the most. Perhaps its my weird fascination for war documentaries (I've watched 'Third Reich: The Rise and Fall' countless times on the History Channel). Or my penchant for romance films set against a war backdrop (think Casablanca). Or the fact that the War Memorial was built as a reminder that wars are tragic; it's sad, scary, and scarring, and should never be repeated ever again. 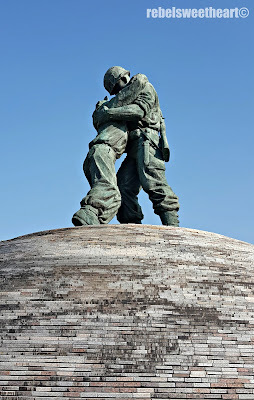 Whatever the reason is, I could not help but feel melancholy as I took photos of The Statue of Brothers, the most predominant edifice (in my opinion, at least) on the memorial grounds. 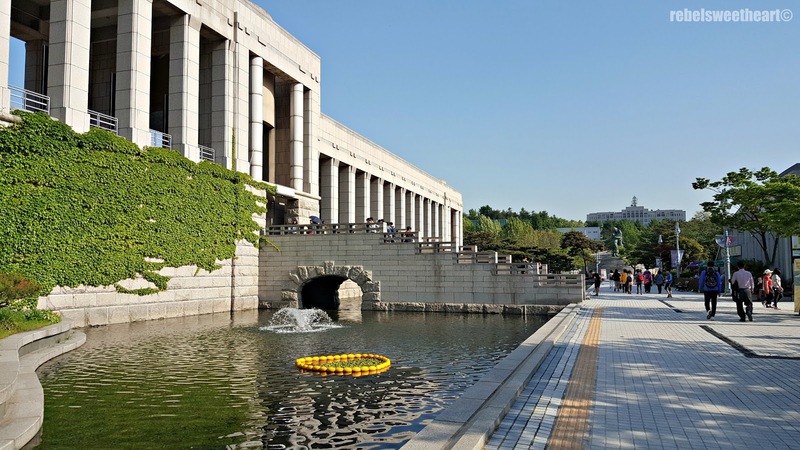 The crack in the dome stands for the division of Korea and the hope for unification. 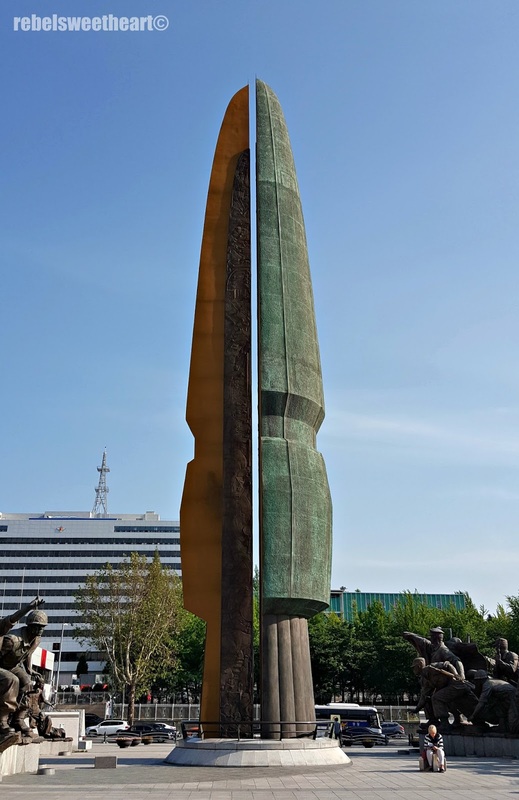 The two soldiers represent South and North Korea. So what's the big deal about June 25, you might ask? Today marks the 66th anniversary of the Korean War, one of the most dismal wars in history. The skirmish began on this cataclysmic day in 1950, when some 75,000 soldiers from the North Korean People's Army intruded the 38th parallel, the boundary that divides North and South Korea. A mosaic inside the dome of the Statue of Brothers. 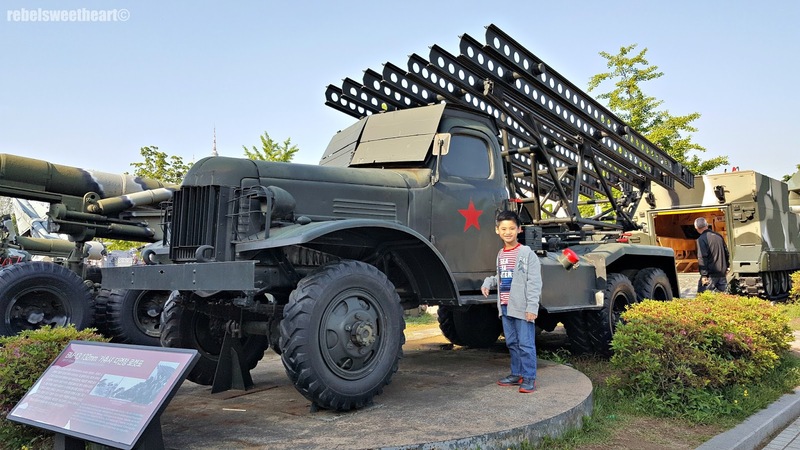 The North Korea forces, with assistance from China and the Soviet Union, poured across the border with aims of 'uniting the divided country'. The United Nations, however, recognized this as an act of aggression and decided the formation and dispatch of the UN Forces in Korea, with the United States as the principal force. 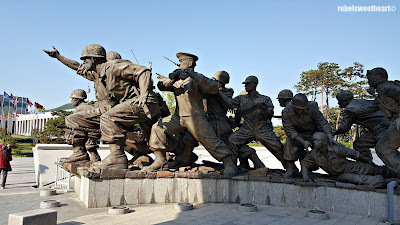 Defending the Fatherland - statues of soldiers in action at the Korean War Monument. 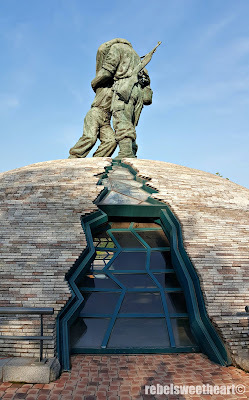 The soldiers, from another angle. For the American officials, this invasion was not simply a border dispute; to them, this could be the start of a communist takeover. 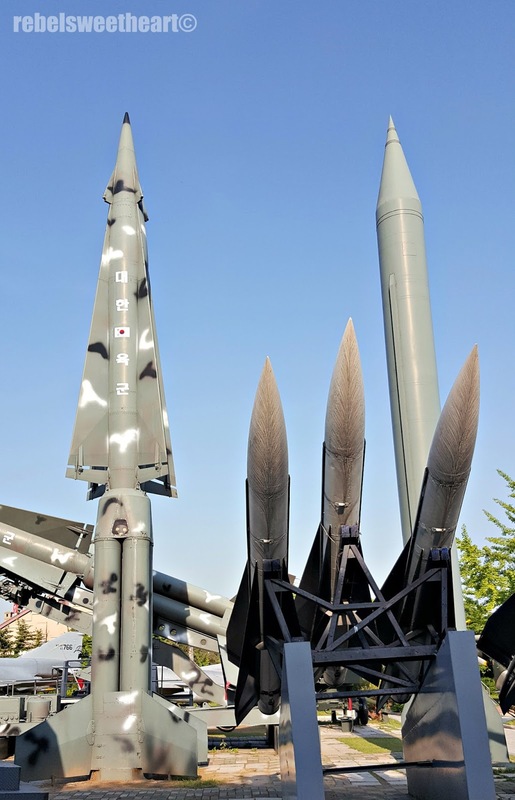 As such, the war on the Korean peninsula became a global struggle between good and evil, a fight for freedom, and a war against communism itself. The fighting ensued for 3 years, and ended with an Armistice Agreement signed on July 27, 1953. This agreement allowed the release and return of POWs (prisoners of war), and created the Demilitarized Zone (DMZ) which now separates North and South Korea. The Clock Tower of Peace. and will indicate the Time of Unification, if and when it happens in the future. However, no peace treaty has been signed so technically speaking, the two Koreas are 'still at odds'. And aside from territorial changes in the Korean peninsula, the war also brought about a death toll of nearly 1.2 million, almost half of which were civilians. 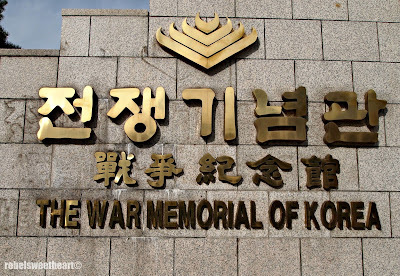 To commemorate the lives that had been lost and to honor the noble sacrifice of patriotic martyrs, the War Memorial of Korea was built. 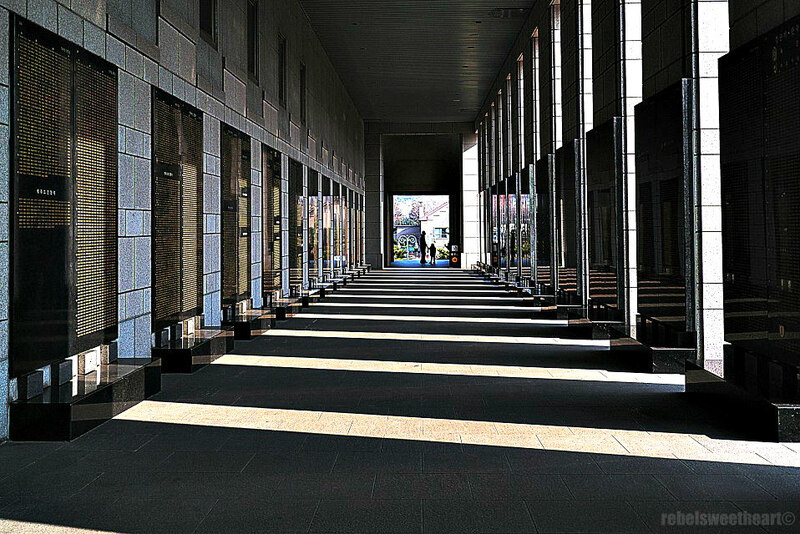 The memorial first opened its doors to the public on June 10, 1994, and is the first and the largest of its kind in the world. It is located in Yongsan, Seoul, where the headquarters of the Korean Infantry once stood. 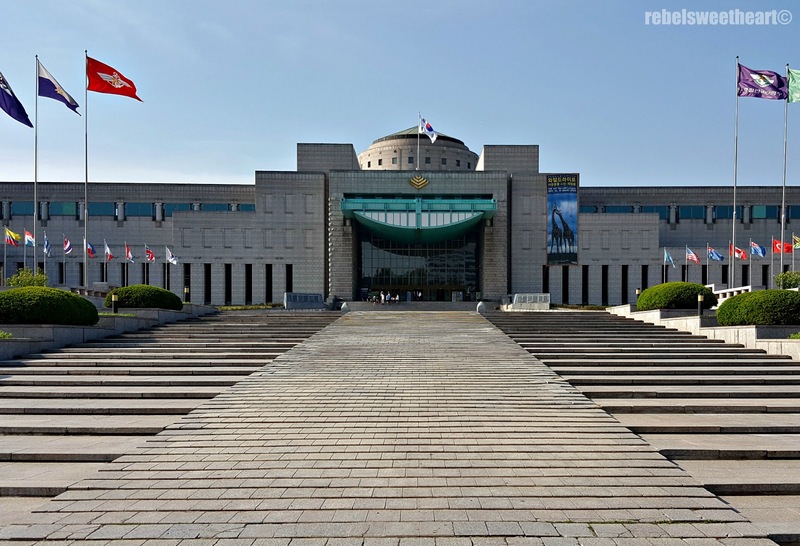 This massive complex consists of indoor and outdoor exhibition areas. 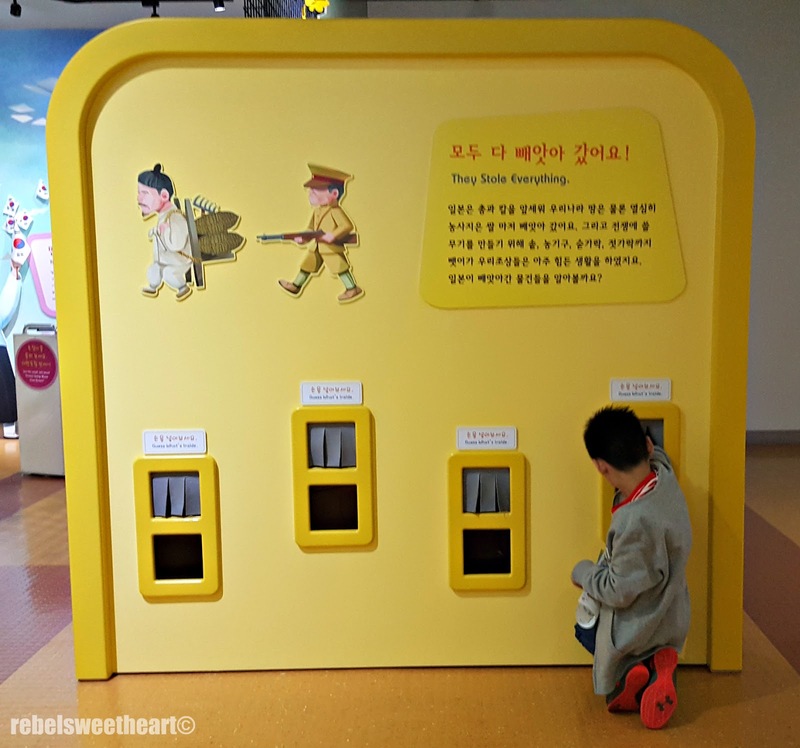 The indoor exhibits are located inside the museum, and are split into seven different halls, starting from the Memorial Hall on the second floor. 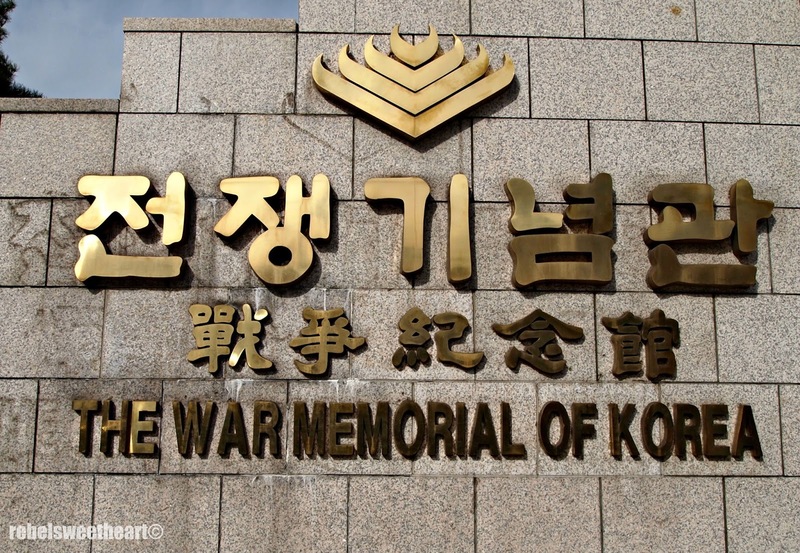 This area is dedicated to the memory of patriots who lost their lives during the war. Along its corridors are walls lined with plaques bearing the names of each and every individual - soldiers, policemen, ordinary citizens - killed during the conflict. 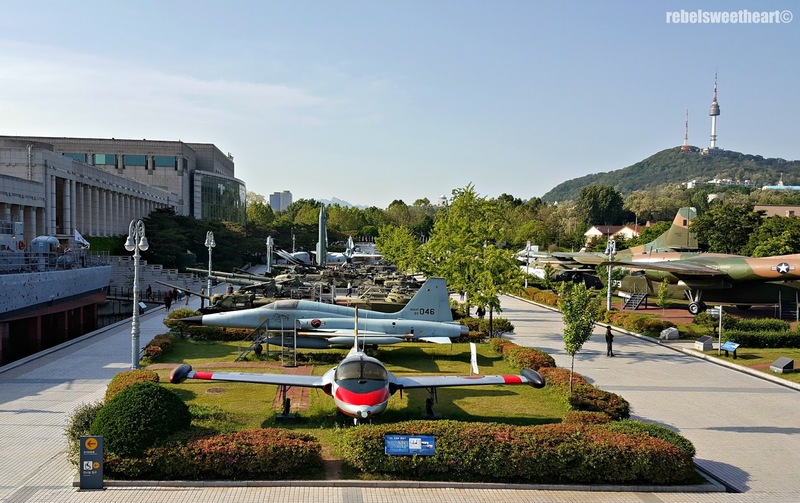 Inside the museum, you will find the War History room, the Korean War room which occupies two floors, the Expeditionary Forces room, the ROK Armed Forces room, and the Defense Industry room. These areas showcase around 13,000 war artifacts, military equipment, relics and documents, multi-media objects. 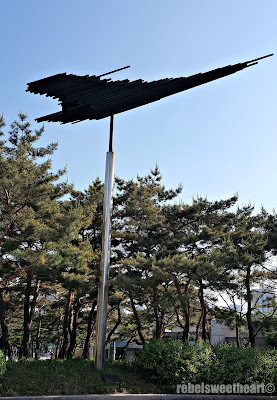 The Peace Plaza, which bears the flag of every UN country that helped South Korea during the war. 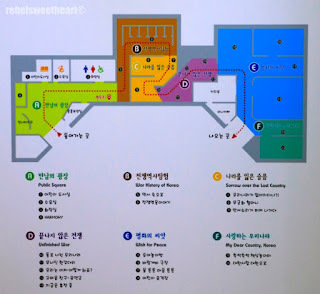 Unfortunately, we were not able to visit these rooms as we were a bit pressed for time. 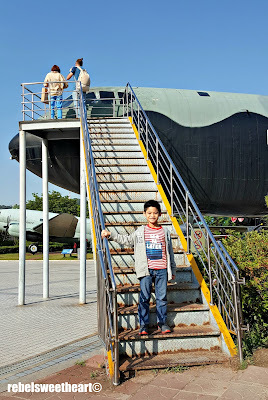 We arrived at the War Memorial late in the afternoon (around 4pm, I think), and Yue was still enjoying the sights at the outdoor exhibition area when they made the last call for admission at 5pm. 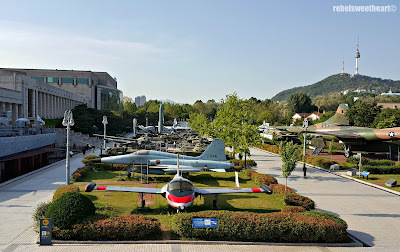 The outdoor exhibition area features aircraft, tanks, vehicles, and large artillery used during the war. 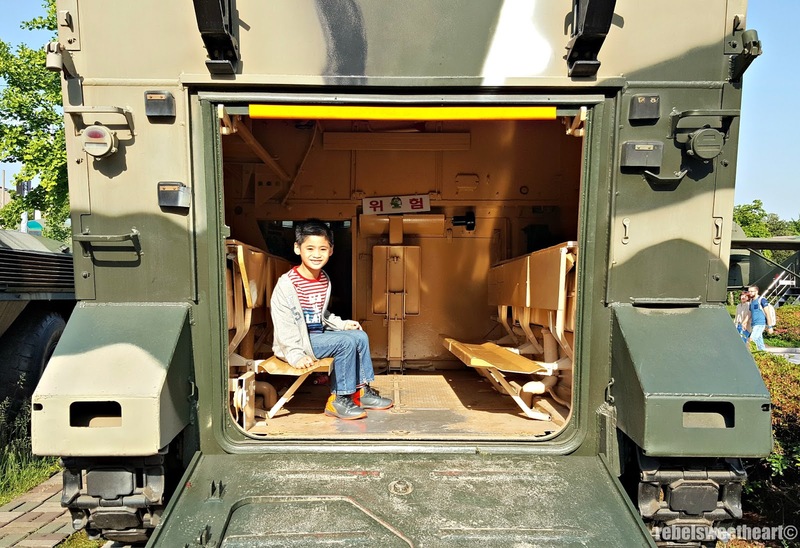 An armored vehicle, and yes, you can ride on it. 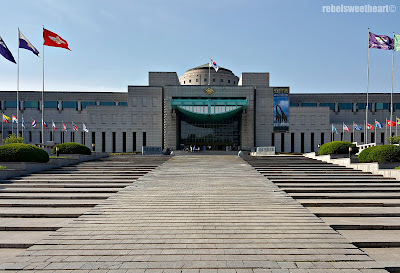 Our original plan was to visit this museum first before heading to the adjacent Children's Museum. However, since the museums will be closing at 6pm and the last admission for both is at 5pm, I had to choose one over the other. It had to be the Children's Museum, of course. 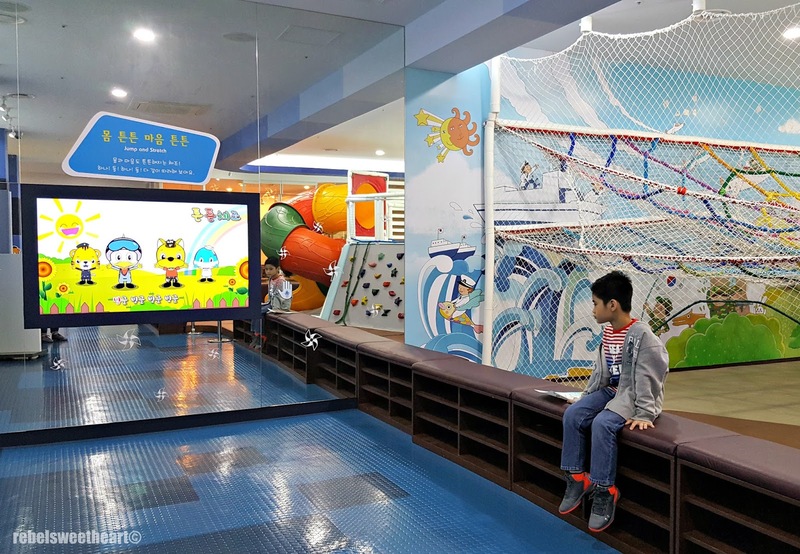 Previously used for traditional Korean wedding ceremonies, this area was rebuilt and redesigned into an 'edutainment' center for kids. 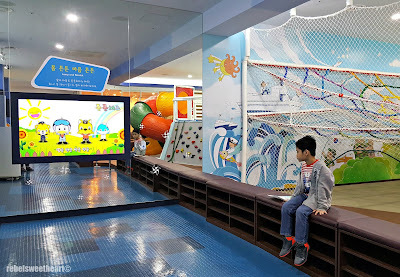 The Children's Museum formally opened in December 2014, and has since become a favorite attraction among the younger visitors of the War Memorial. The museum is divided into six sections, each filled with fun and informative educational materials, games, and videos. 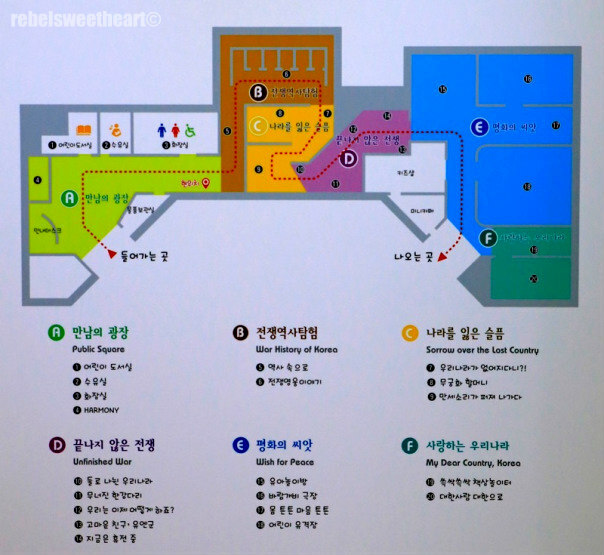 Map of the Children's Museum. 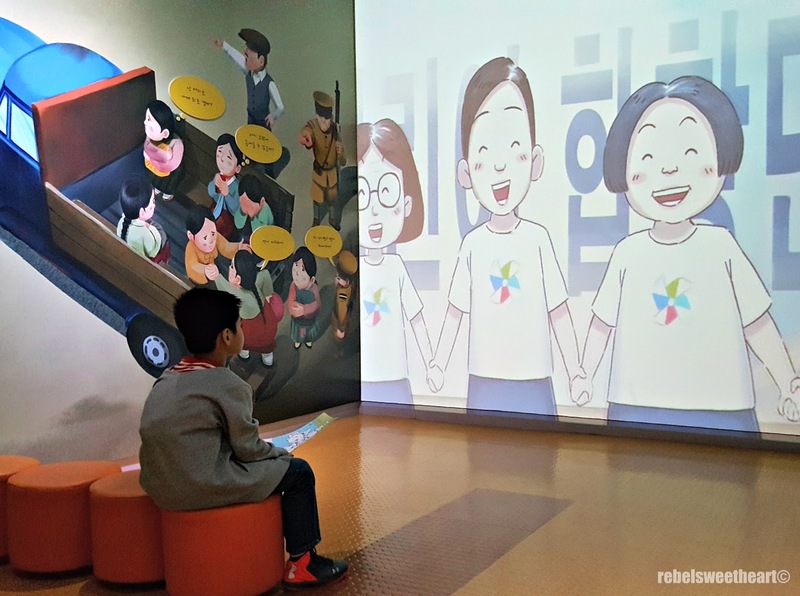 The Public Square, which is located right past the entrance, has a small library where kids can sit comfortably and read to their hearts' content. 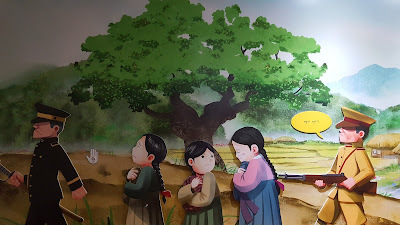 Since the books are written in Hangul, we skipped this part and moved on to the 'War History of Korea' which features a pretend fortress wall with small alcoves. Kids can watch animated history clips inside these alcoves, Yue seemed to understand what the video clip was all about, despite the language barrier. Admiral Yi Sun Shin, the greatest naval commander in Korean history. I wish these video clips were dubbed in English, too, so that foreigners can understand the scenes better. 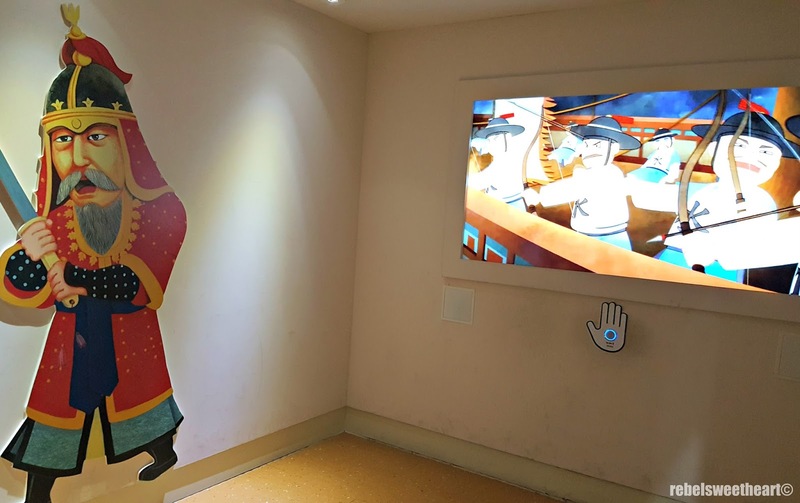 Press the hand to play the video clip. The next section, 'Sorrow over the Lost Country', depicts scenes reflecting the struggle for independence. Yue taking a stab at the games in this area. The boxes lights up once you place your hand inside the hole. 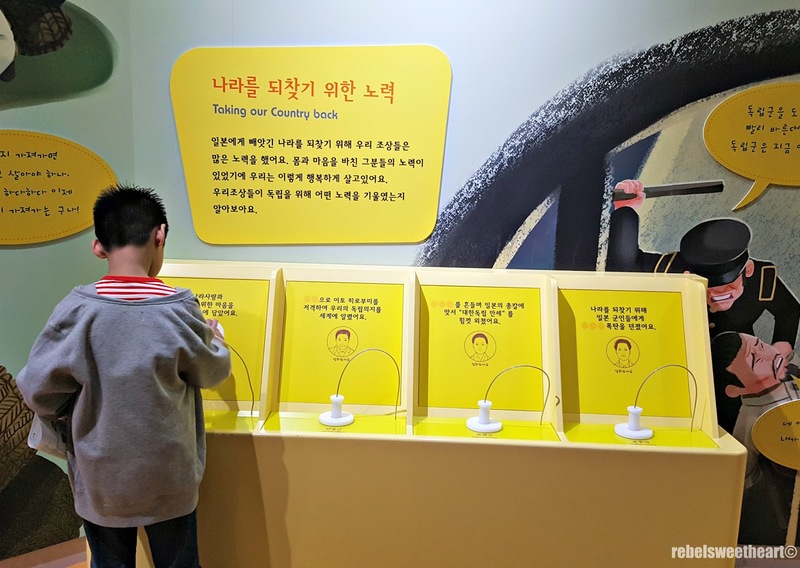 Yue tapping flag as the kind museum ahjumma looks on. 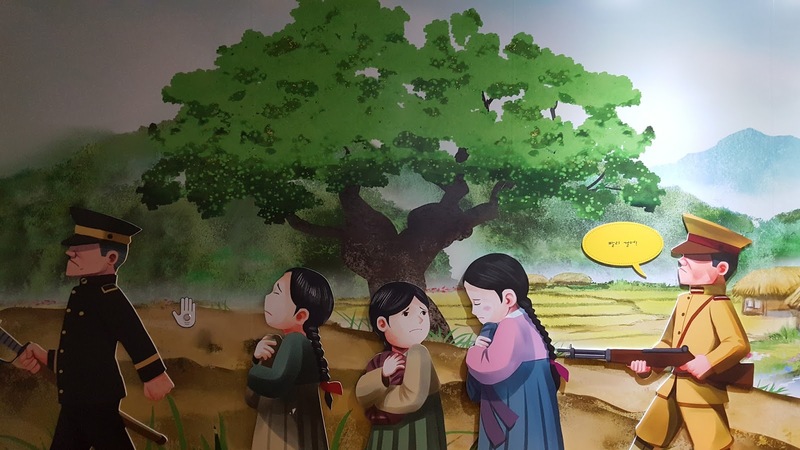 Here you can watch the animated clip of the 'Mungunghwa Grannies', which tells the plight of Korean women during the Japanese occupation. 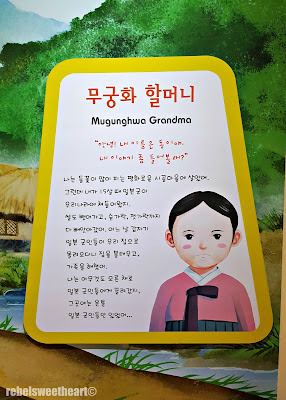 I'm surprised that they included the story of comfort women in a museum for children. Even more surprising, the video clip has English subtitles! Explaining the story to my son was a struggle, haha! Just by looking at this illustration, I knew right away what it was all about. 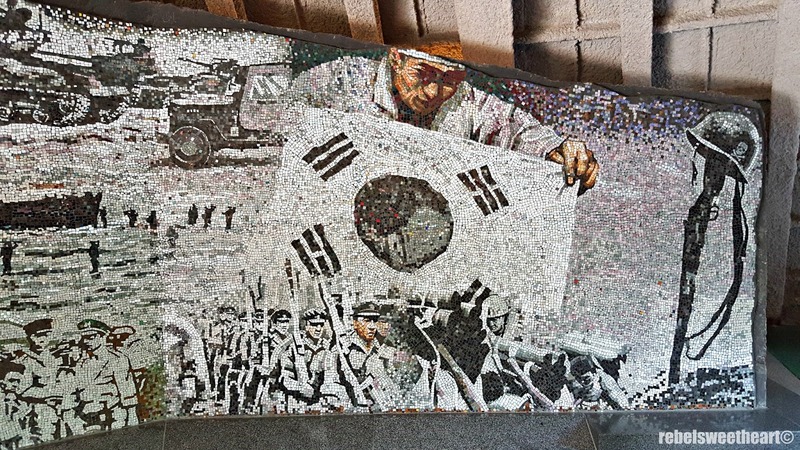 The section that follows depicts the Korean war and the unresolved conflict between the two Koreas. Hence, the name 'Unfinished War'. 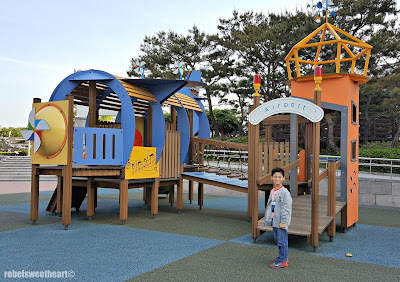 Kids can play with the puzzles in this area, and enjoy photo ops with the colorful illustrations and the trick-eye bridge. In every way, it is the children who suffer the most. 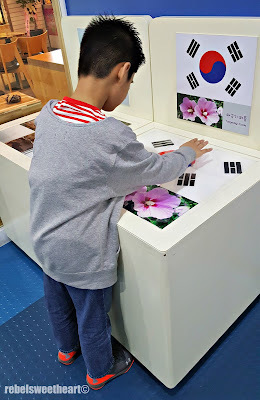 Learning about the countries that helped South Korea during the war. 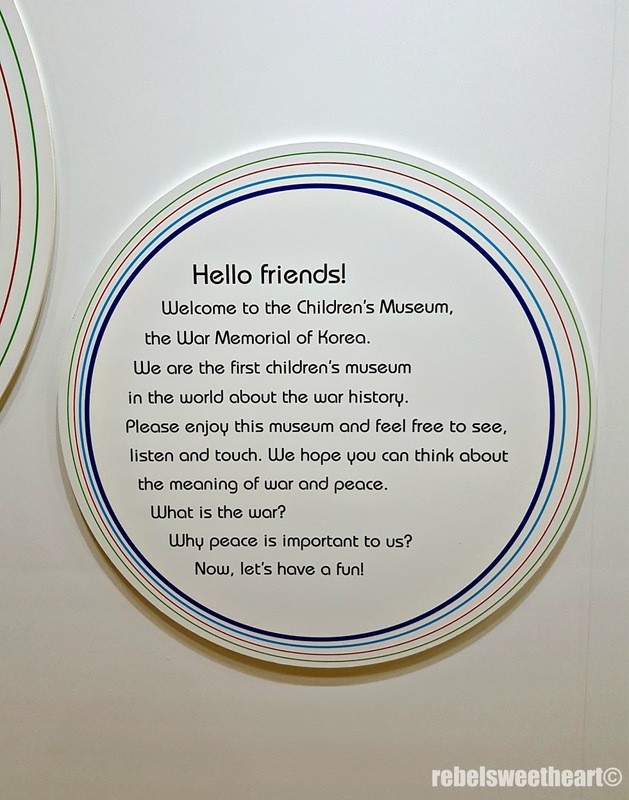 Next is the 'Wish for Peace' section, which features a play area. Kids taller than 110 cm can enjoy the netted playground and mini climbing wall; for those who fall short of this height requirement, they can enjoy the padded play area or watch animated clips instead. Yue must have been so tired from all the walking that he chose to sit down and watch videos instead. 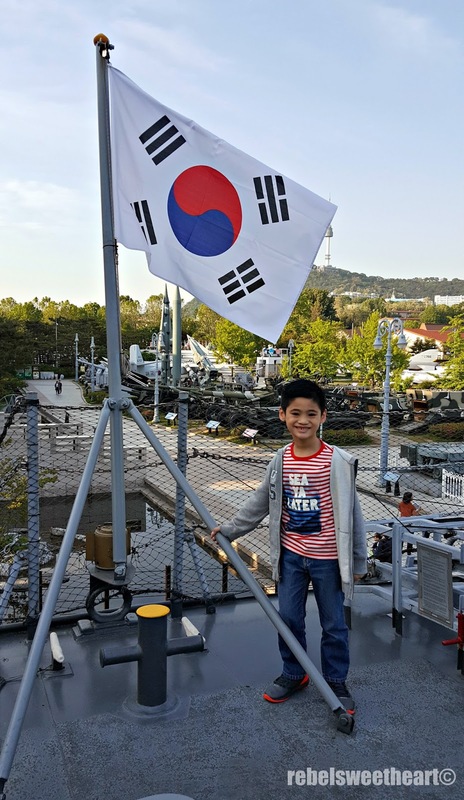 Finally, in 'My Dear Country Korea', kids are introduced to the Korean national anthem and the Korean flag. 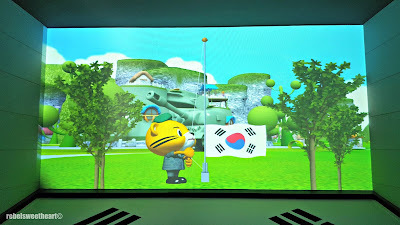 Animated video featuring the Korean national anthem. A puzzle featuring the Korean flag and the mungunghwa, the national flower of Korea. Overall, we enjoyed our visit to the War Memorial of Korea despite being unable to see the exhibits inside the 'adult' museum. 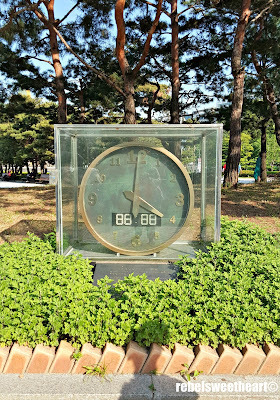 I will make up for this missed opportunity the next time we visit Korea, which will most likely be in December. 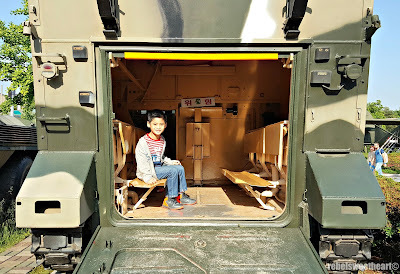 Yue, who had a blast by simply looking at the tanks and missiles, and riding the warships and armored vehicles, has been telling me constantly that we must visit this place again. We definitely will! Let this be a reminder to all. To get to the War Memorial, take the subway to Samgakji Station Exit 1, 11, or 12, or the Namyeong Station Exit 1. Hey This war memorial looks and sounds like somewhere we would love to visit and definitely to See. Your son looks like he had a blast. IG worthy piccies right here too :) Thanks for sharing! 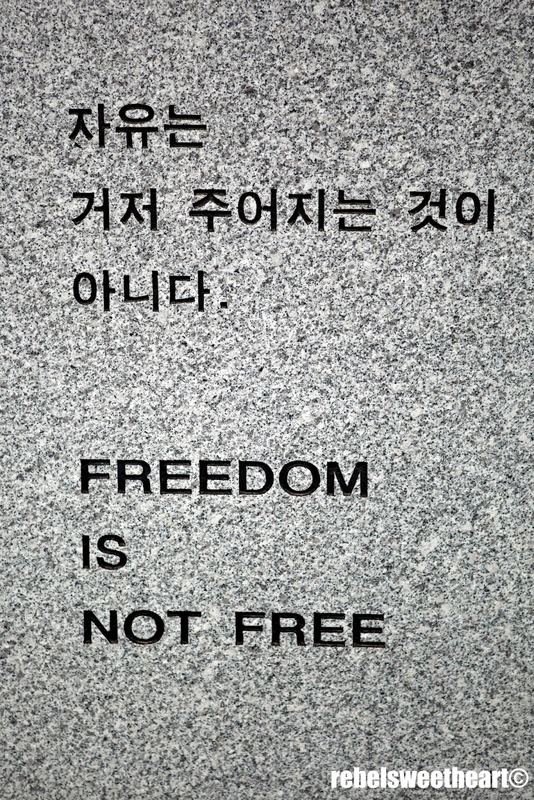 What I like about war memorials is the reminder of how you got your freedom and how you should cherish it. So many lives are lost in every war and it's heartbreaking. I'm glad you had a great time. It's sad to see the one nation divided into two though, isn't it? This is a nice place. We have a similar place here in our country and it so sad that there are only a few people go there for honoring them. I just read your about me page :) I love a UFC buff, too. My hubby trains on Brazilian Jujitsu and he got me hooked on MMA. 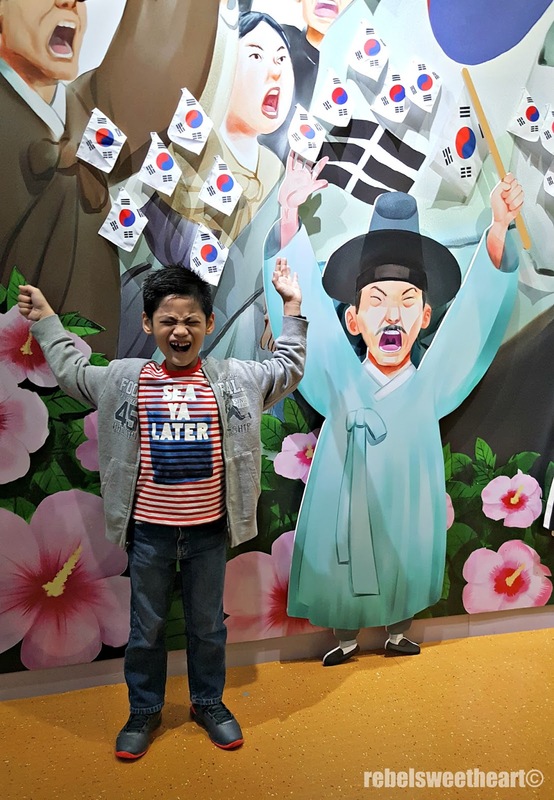 You've touched and landed on a very interesting topic and part of Korea's history and I am so engrossed with this post. Not only did you make me more interested in reading about what happened but you've covered a lot of ground with your pictures and your own insights. I would love to share this to a few friends who are history buffs, I'm sure they will appreciate this. It looks like you had a interesting but fun time. 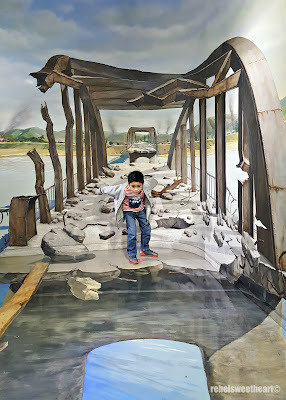 History has always been something that has been a big interest to me and my boys. 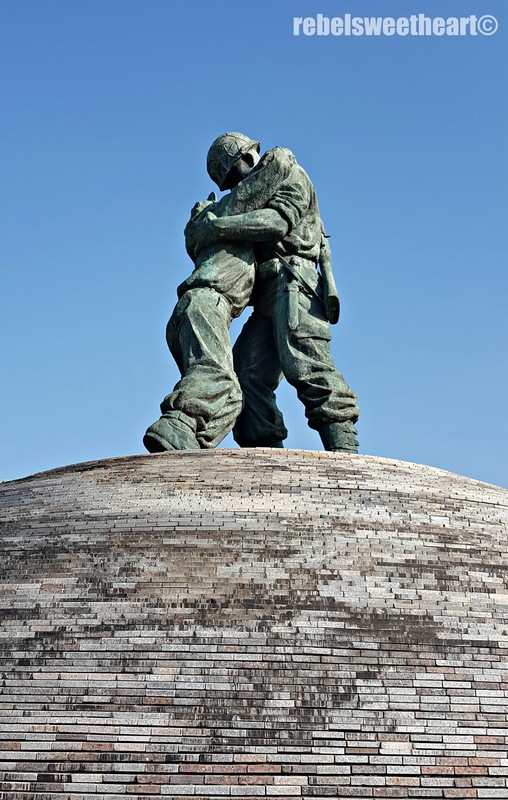 The statues of the soldiers is something that means so much to so many. Thanks for sharing your experience. Great memorial, looks like a great place to visit! I'd love to see this place in person. I've always loved history and enjoy learning about it. Interesting history! 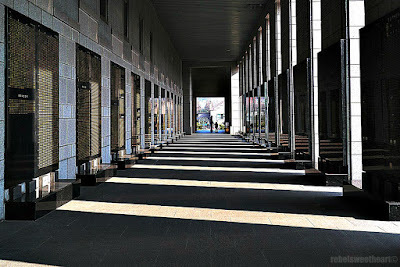 I would like to visit the War memorial someday!! The pics looks very nice! I am very interested to see them in person! As always, visiting places is a nice way to relearn history. Good thing, too, your Yue came along. He seemed to have learned a lot. I, too, got so many new information about Korea and the war that took place many years ago. It is so nice to reminisce independence and advancement even if it is not ours. This looks like a nice tourist place to visit. 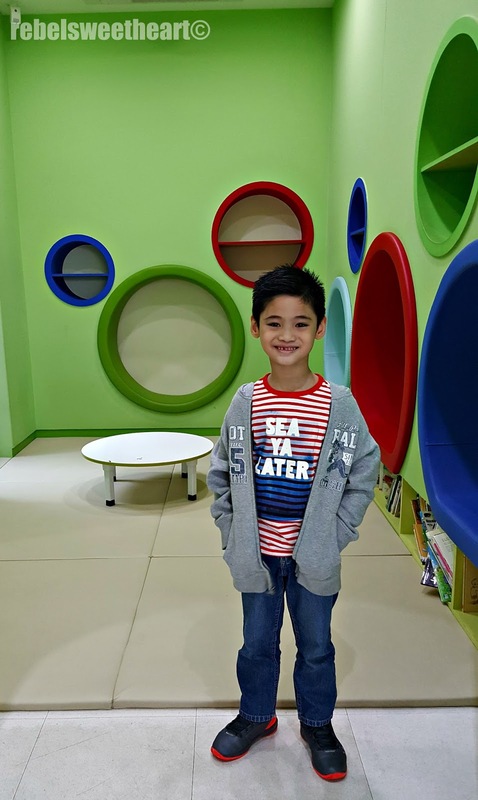 Little kids would learn a lot naman no? Are the written things on Korean only or is there a translation in English? It's funny how, though I"m married to a Korean, there's a lot of things about Korea that I don't know about. I didn't know about these places, for example. 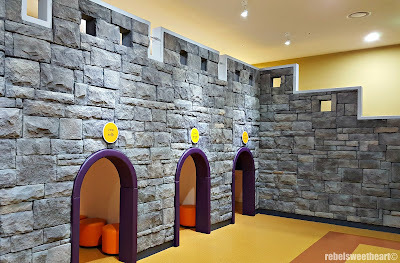 I also didn't realize that there would be a children's museum next to such a seemingly sad place, but if you really think about it the earlier you teach kids about important matters like this, the more deeply ingrained it will be in them. My husband feels very strongly about this and, personally, I hope for reunification. I hope both sides can forgive each other and come together as one people once again. I never knew how North and South Korea got separated. I do hope for peace with the nations but with the leader of North Korea now, I feel that's highly doubtful. 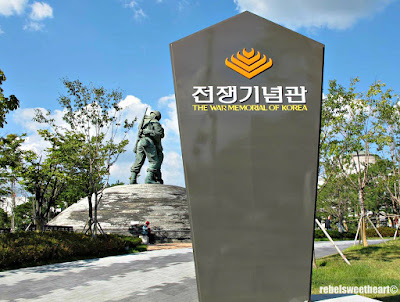 I'm glad South Korea has these memorials. War is ugly and I do agree the kids suffer the most. They loose a parent or entire families. It's so sad. 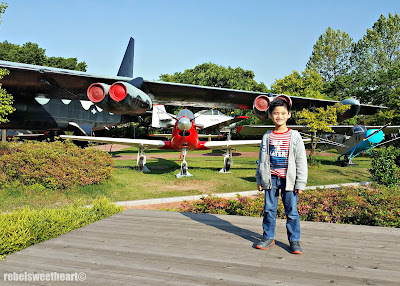 I am sure that you and your family enjoyed your trip in Korea. Looking forward to visit Korea in the future and will keep this one as a reference. Nice to see a glimpse of this war memorial. 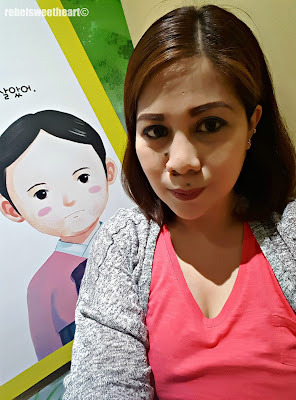 I always watch Korean series but I have no idea about their history. 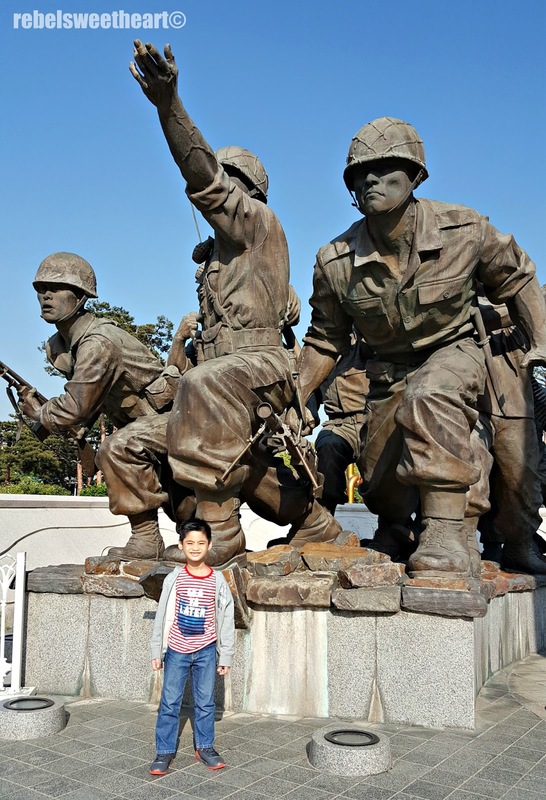 Ang ganda nung statue ng soldier na nakahug, I hope NoKor and Sokor will be reunited pa. Pwede itour ang DMZ di ba? 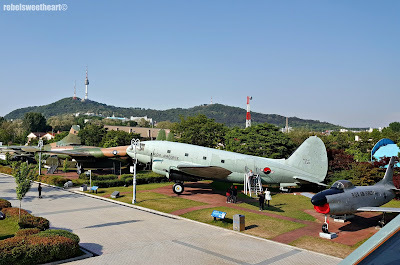 South Korea's military side has a lot of underrated memorials and places, glad to see a special place here. This gives me the confidence that one day, both North and South can live in harmony through the same ideals, and these military memorials will definitely be a symbol of their past and prosperity for their future. What an absolutely amazing trip. I bet you guys had absolute fun on this trip. 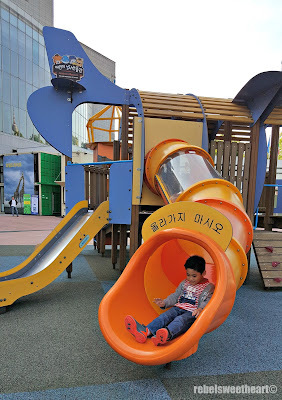 I've always wanted to venture off and get lost in the beautiful cities of Korea! I learned so much just by reading your blog! How much more if I were there talaga, ano? 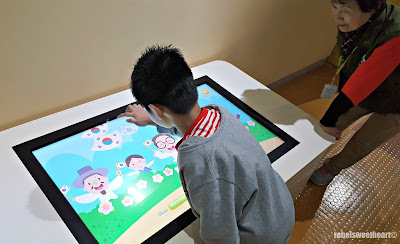 They really thought of everything; I love how they provided an interactive learning center! This is such a great history lesson! 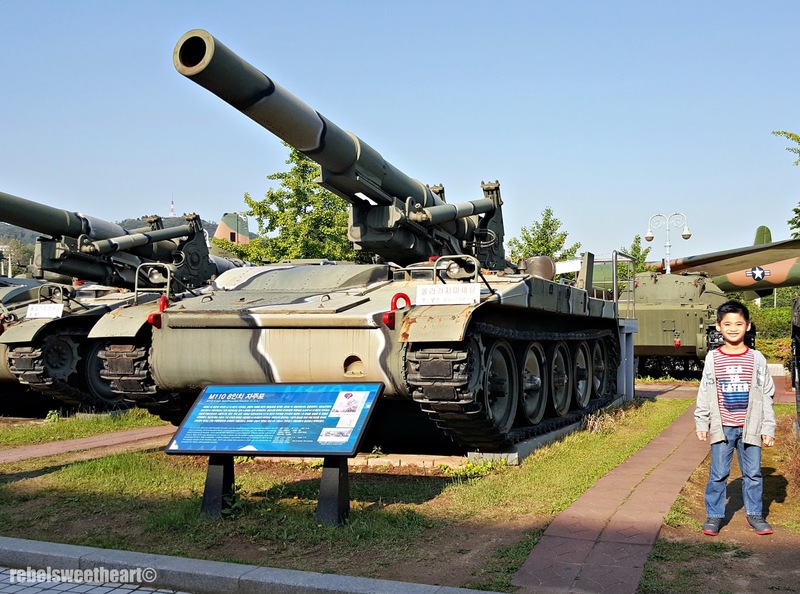 I have to admit I didn't really know much about what happened to Korea. I hope the country will eventually unite and have peace. This memorial is awesome! 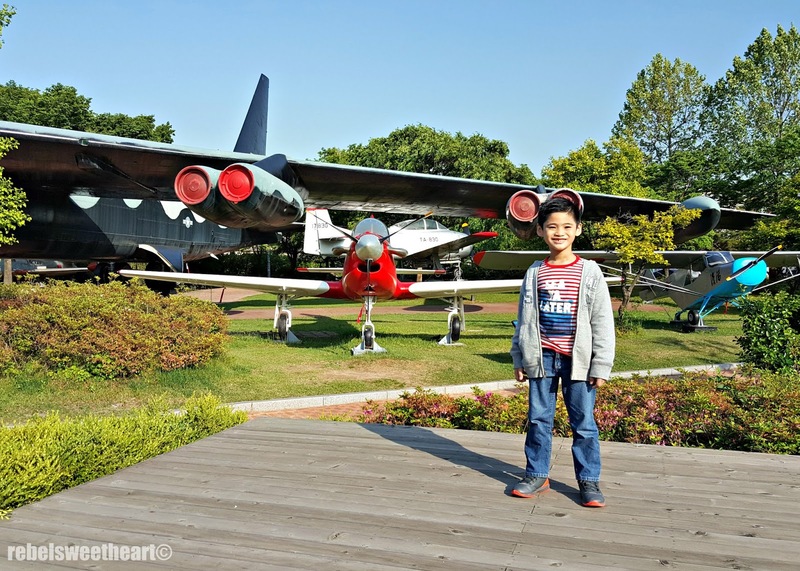 I'd love to take my son here because he loves planes and soldiers, etc. 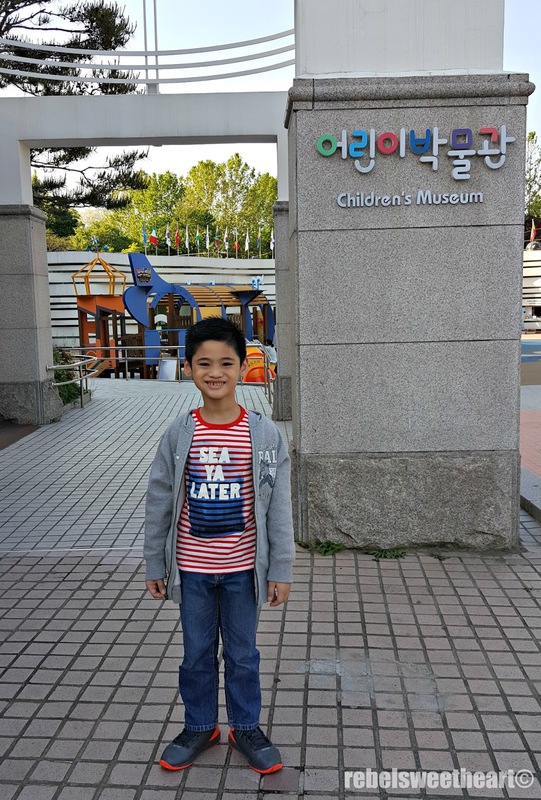 I'm really interested to know more about Korea, one of my dream destination. I learned a lot of things about Korea just by reading your post. 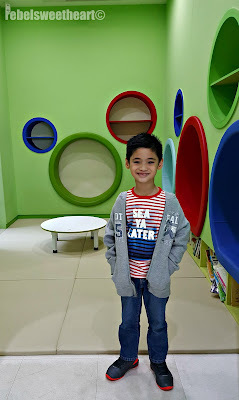 A great place to bring kids. 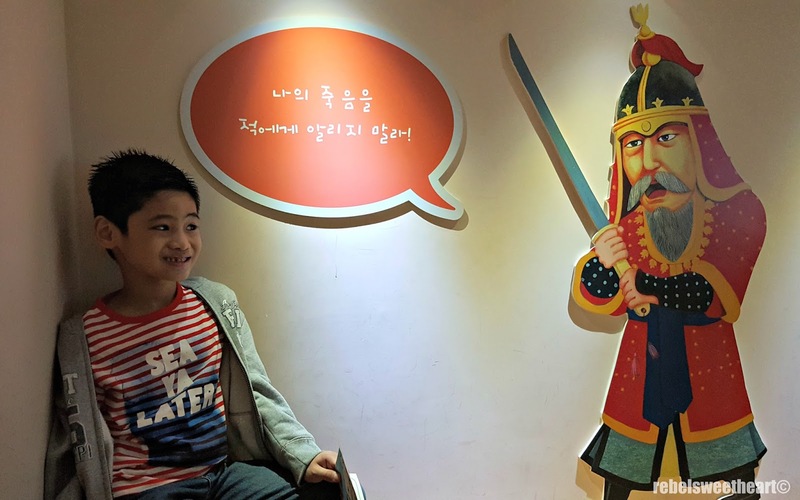 Korea is rich in history and culture. I'm not a big fan or K Pop and the like but I do have an appreciation for how they are able to have a solid fan base. My mom likes Korean soaps. I think I would like learning about Korea. Got Korea on our travel wish list, not only because my kids are KPOP fans but because I think Koreans are neat, very disciplined and they got great food. This looks so fun! And what a great learning experience for kids. The recent meeting of the leaders of North and South Korea is going to be etched forever in history. After 68 years, the peninsula agreed to end the divide! It will be more exciting to visit a unified Korea now. I wish that I could take my kids to see this memorial. 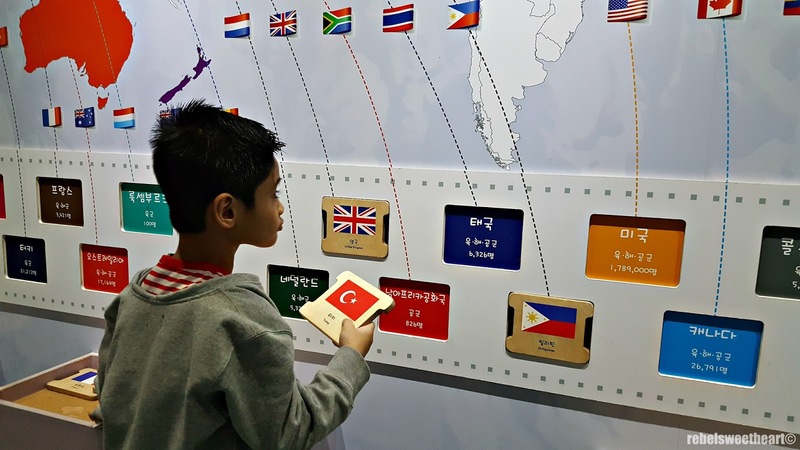 I want them to know about the different wars that have been fought around the world. 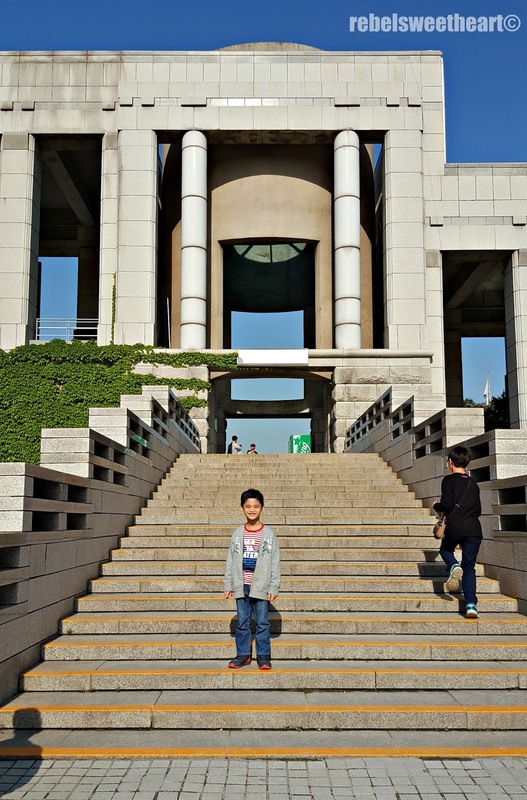 It sounds like you had a great time visiting the memorial. Your son is getting so big. I remember when I first visited your blog 4 years ago. He has grown so much. What a powerful and beautiful exhibit. I'm so jealous you and your family got to experience such amazing history. Its really great to see that they are paying tribute to the soldiers that have fallen. 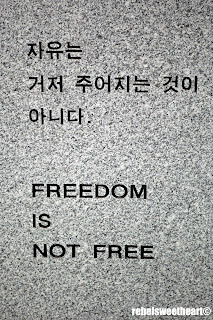 Sharing this came at the great time because of the news of North and South Korea. This looks like a really emotional but liberating place to visit. 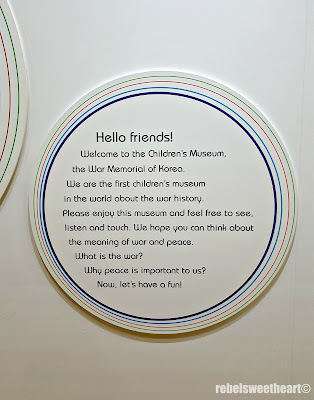 I like how they have involved the children being able to appreciate the memorial and see it as a positive place by adding a play park. 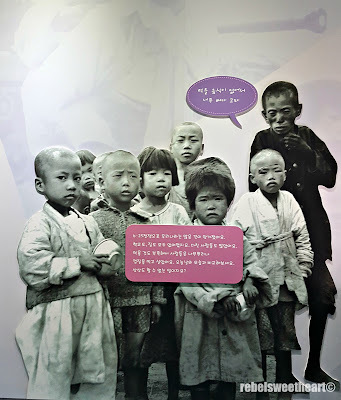 I learnt a lot about Korean history reading this post, very interesting, thank you. Still a beautiful place full of history. Despite what happened in the past, I think this holds more meaning now that both North and South have agreed to be at peace with each other.